As we have discussed previously, Rule 54(b) of the Arkansas Rules of Civil Procedure allows a court to issue a final judgment as to certain claims or parties (when multiple claims or parties are involved). By doing so, the trial court makes it possible for the court’s rulings as to the specific claims or parties to be appealed before the other claims are heard. This option is available “only upon an express determination, supported by specific factual findings, that there is no just reason for delay.” Ark. R. Civ. P. 54(b). In the recent case of Billingsley v. Benton NWA Properties, LLC, 2014 Ark. 65, the Arkansas Supreme Court examined a Rule 54(b) certificate and held that it was not sufficient. In that case, the plaintiffs owned a piece of property that flooded, which the plaintiffs alleged caused approximately $3,500,000 in damages (including loss of value to the property). The plaintiffs sued “many defendants” for the damage caused by the flood, and ultimately reached a settlement agreement with Benton NWA Properties, LLC. Prior to trial on the remaining claims against the remaining parties, a dispute arose between the plaintiffs and Benton NWA Properties, LLC regarding the terms of the settlement agreement. Therefore, the plaintiffs and Benton NWA filed competing motions to enforce the settlement agreement, and the trial court granted Benton NWA’s motion to enforce. The plaintiffs sought to appeal, and the trial court agreed to enter a judgment along with a Rule 54(b) certificate. The Arkansas Supreme Court raised, sua sponte, the issue of the sufficiency of the Rule 54(b) certificate, noting that the sufficiency of such a certificate is jurisdictional. The Court looked at Holbrook v. Healthport, Inc, 2013 Ark. 87, in which the court had held that a one-sentence explanation in the Rule 54(b) certificate was insufficient. In Billingsley, the trial court had written a substantial certificate (it was over 5 paragraphs long, most with more than one sentence). Nevertheless, the court held that the 54(b) certificate “fail[ed] to even include a one-sentence factual finding” regarding any danger of hardship or injustice that could be alleviated by an immediate appeal. Therefore, the Arkansas Supreme Court dismissed the appeal without prejudice. 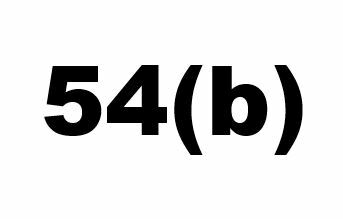 Based on Holbrook and now Billingsley, the key to an effective Rule 54(b) certificate appears to be to explicitly state the hardship or injustice that will result if an immediate appeal is not allowed. Simply laying out the procedural history is not enough, even if the implication from the history is that it would be inefficient to allow the trial to proceed without having the appeal heard first. So, make sure that any Rule 54(b) certificate not only lays out the history of the case, but also the specific problems that will occur in the future if the appeal is not immediately heard. The information in this blog is not legal advice, and your use of it does not create an Attorney-Client relationship. Any liability that may arise from your use or reliance on this blog or any links is expressly disclaimed. This blog is not legal advice and is not to be acted upon as such. The information contained herein may not be current and is subject to change without notice.